Located directly on the way into Santiago along the Camino Francés, after Plaza Cervantes and before the Cathedral, on your left. 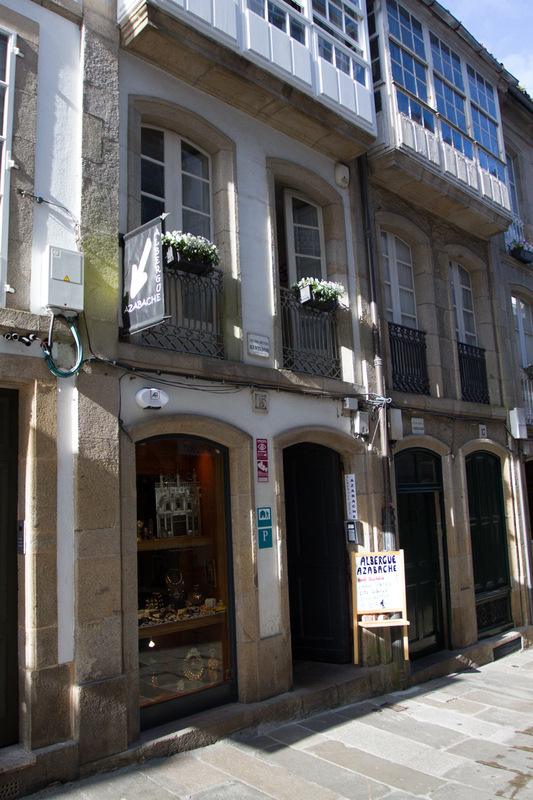 Two doors down from the Vinoteca Cervantes and a small plaza. Prices determined by size of room.